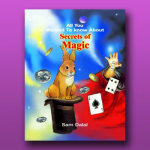 EASY TRICKS FOR YOUNG MAGICIANS! 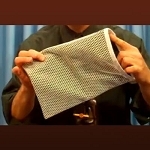 Really easy but amazing magic tricks! 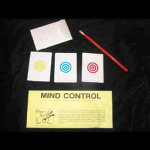 Just follow the SIMPLE instructions- and the magic happens! 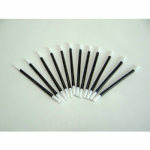 All tricks in this category are very simple and easy to master. NOT INTENDED FOR CHILDREN UNDER 5 YEARS OLD. 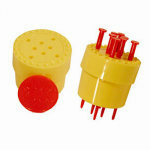 Caution: small parts. 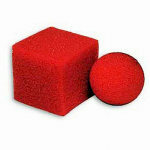 Turn two red sponge balls into a single red sponge cube, right in your hand! 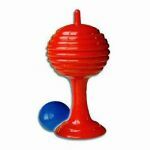 Make a ball vanish and reappear in a little vase! 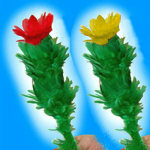 Make a red feather flower bloom and vanish at your command! 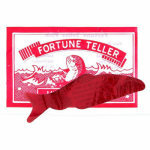 Fold any coins into the magic papers, and the coins vanish, then reappear! 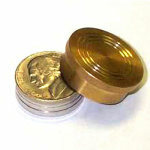 Vanish a borrowed coin, make it reappear inside the middle of four nested boxes! 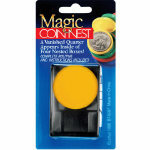 Make a real coin vanish or change it into another coin! BONUS VIDEO: Comes with exclusive additional ONLINE instruction with expert tips from Peter Monticup! 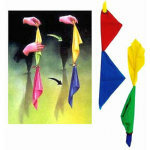 Change the color of two handkerchiefs by simply passing them through your hand! Instantly reveal the color secretly chosen by your spectator! 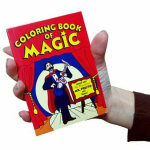 Make the pages of a POCKET coloring book color themselves-then vanish the drawings! 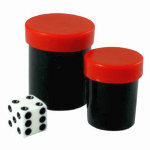 Instantly reveal the number on a die secretly chosen by your spectator! 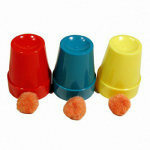 Make little balls appear, disappear and travel between three small cups! 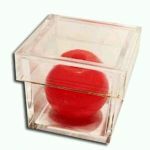 Make a ball appear in a clear closed box- and then escape from the box! 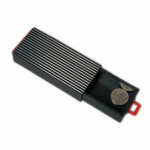 Open and close the drawer to make items vanish and appear! 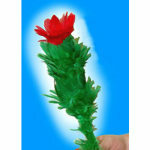 Make a red feather flower wilt or pop up at your command! 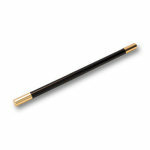 Make magic happen with this wand that does tricks! 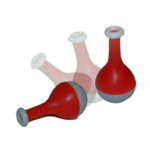 Only you can make the magic bottle lay down and stay down! 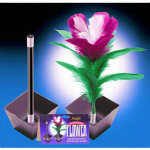 Produce a feather flower from a magic wand! 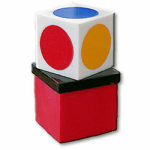 Correctly predict which color your spectator will choose! 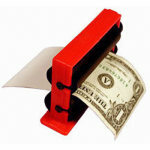 Can you "print" real dollars from blank paper? BONUS VIDEO: Get exclusive additional ONLINE instruction from Peter Monticup! 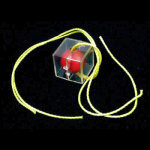 Pull a string through a ball, a box- and your spectator's finger! 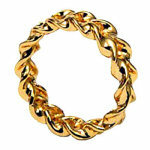 Simply turn this ring to make it shrink or grow larger! 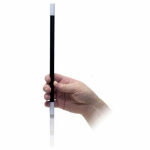 Push a pencil through a solid sheet of plastic without leaving a hole! 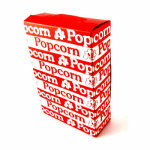 Produce lots of silks or cards from an empty popcorn box! 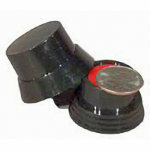 Push eight solid spikes right through a coin! 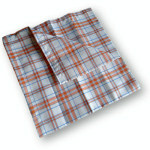 Make a handkerchief mysteriously move by itself! 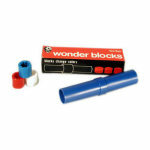 Make three blocks change places inside a narrow tube! 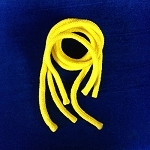 Visibly cut a rope into two pieces- and instantly restore it! 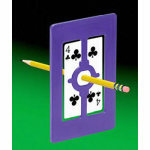 Learn 45 easy tricks with ordinary objects! 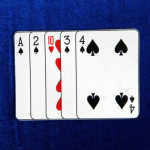 Change one card into another, make a card vanish or appear, and more! 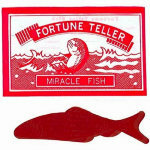 Perform lots of easy but amazing tricks- perfect for the young magician! 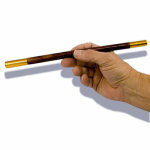 Wonderful magic wand for the professional magician! 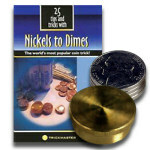 Change a penny into a dime, just by touching it! 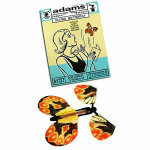 Make a large and colorful butterfly appear by surprise- and fly up to 10 feet! 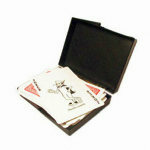 Make any small item appear from an empty bag, and more! 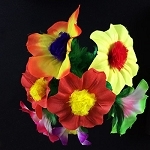 Make a red flower appear, change to yellow, then vanish! 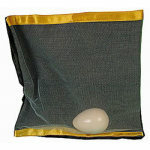 Make an egg or small item appear and disappear from inside an empty bag! 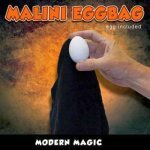 Make an egg appear and vanish from an empty bag! BONUS VIDEO: Get exclusive additional ONLINE instruction with expert tips and routine from Peter Monticup! 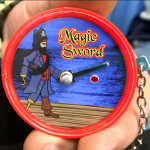 Slice a sword right through a solid key pin- and you don't even have to know how it's done! 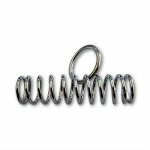 Easily remove the ring from the spring- yet your spectator can't do it! 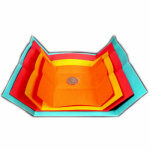 Make a borrowed coin reappear inside a bag that's inside a box that's inside another box! 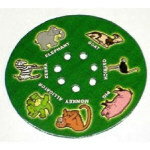 Know instantly which animal your spectator chose! 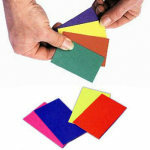 Correctly reveal which color card your spectator chose- every time! A bag full of fun and easy tricks! 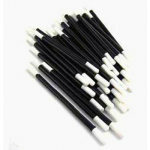 Easily catch the band in the Snapper- yet your spectator can't do it! 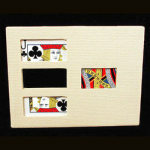 Visibly cut a card into THREE pieces- and instantly restore it! 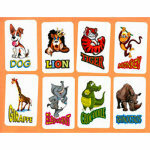 Correctly name which animal your spectator secretly selected! 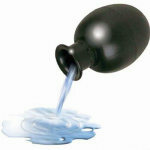 Pour water again and again and again from an empty jug! 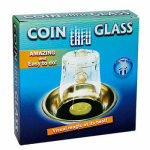 Make a real coin visibly penetrate right through a clear glass! 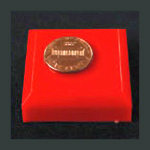 Classic magic accessory at a great price! 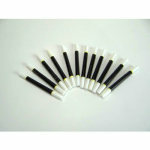 Black with gold color! Your spectator can never clip the RED suit card! 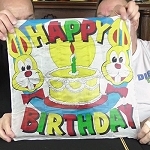 Produce a colorful 18-inch silk picturing a rabbit! 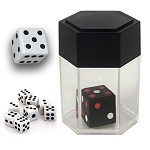 Instantly change a single black die into a single white one! 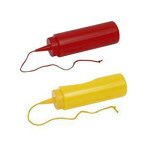 Pretend to squirt messy mustard or ketchup on them! 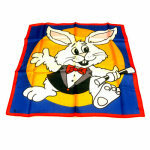 Make a cotton handkerchief mysteriously move by itself! 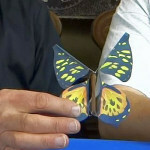 Make a large and colorful butterfly appear by surprise- and flutter in the air! 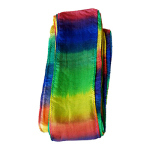 Colorful 2-inch by 16-foot vibrant silk ribbon! 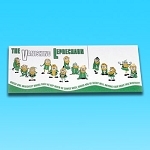 Count the leprechauns- one vanishes right before your eyes! Change four nickels into four dimes! Change four nickels into four dimes! 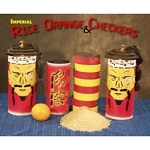 Comes with case and booklet! 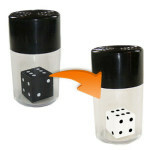 Change a single black die into a white die- or a handful of tiny white dice!